So there I was walking to work, I slipped on a bit of ice and fell on my buttocks. Whilst I am fine other than my pride and a slight soreness in my left wrist (it helped break the fall) two things did not survive. One was my special motivational mug, the one with Rocky’s Inspirational Speech on it, the other was this . . . So, that has been my morning so far, quite stellar. I lost two things that mean something to me. 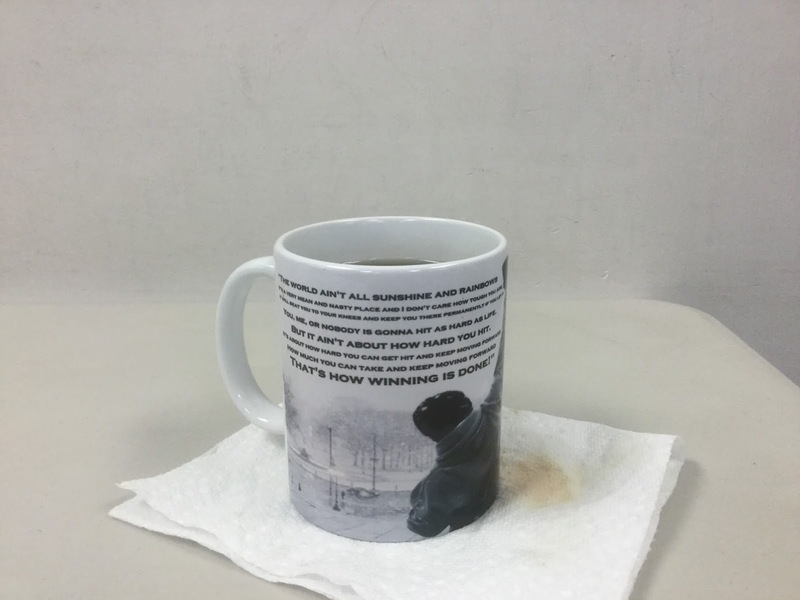 My motivational mug is just a little thing that reminds me to keep going. Here is a shot of it from the archives. The laptop is something that I use on a regular basis. I use it to write as well as relax while playing a video game or two. So, while I have other mugs, and so that will be fine, I am not looking forward to buying and moving into another laptop. 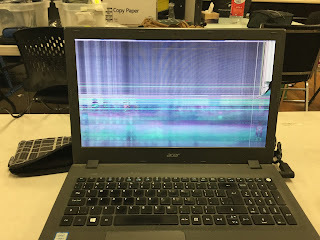 Sure it is technically just the screen, but it is a cheap laptop and so, not worth fixing (even if parts were available). This morning is discouraging, because there is yet more snow on the way, and I don’t need yet more expenses. I am toying with just not replacing the laptop, but I already know that I will . . . I know me. Whilst I am frustrated, I am discouraged and yes I am also saddened by the loss, I will not give up. I am just too stubborn to give up. I will trudge forward and continue onwards towards my goals, doing what I have to do to survive and yes . . . keep moving forward. My usual tagline has extra meaning for me today.